Microsoft Outlook being a part of Microsoft's Office Suite family is widely used as desktop email client to communicate over internet. Many organizations and business users utilize MS Outlook in combined with Microsoft Exchange Server and Share point Server to send or receive emails, coordinate meetings and calendars etc. Outlook can be easily expended with Smartphone's allowing users to access their email data anywhere around the world. Only they have to synchronize their mailbox with device by providing user ID and password. In addition, for those users who are not availed with this facility into their devices can download numerous Add-ons available into internet market. Microsoft Outlook includes versions 98, 2000, 2002, 2007, 2010, 2011, 2013 & 2016. The current versions are Microsoft Office Outlook 2013 & 2016 for Windows and Outlook 2011 for Mac. Outlook has some latest features that make Outlook more favorite of plenty of users across the globe. All below discussed features are some basics of Outlook but they get improved with each upgraded version of Outlook. MS Outlook allows users to communicate in plenty of ways focusing main on emailing. Outlook allows users to send or receive email to other user with some advance enhancements like attachment, signatures, themes and backgrounds etc. Carrying out communication in Microsoft Outlook is streamlined process as interface is quite simple. In aspects where organization of work tasks is issue, Outlook takes first position in way it provides calendar feature. Via using calendars in Outlook users can view all of tasks and meetings as daily, weekly and monthly wise with coloring important meetings. 'Contacts' is another way to stay organized in Outlook. It allows you to save vCard that are digital cards in electronic communication system. To keep a record of messages that send to other users, Outlook offers best tracking services than any other application. When users send a message to anyone, if it's reached or not, they can set Outlook options as 'Request a Delivery Report' from settings to ensure that message has been delivered. 'Request a read report' option for users to know whether opposite party has opens message or not. MS Outlook also provide option to perform teamwork tasks easily just like meetings. 'Meeting Invite' feature in Outlook allow users to invite all users for immediate meetings along with tracking who accepts or who declines this invitation. Moreover, Outlook 'Share My Calendar' function also lets users about confirmation of both parties for meetings etc. Another useful function is 'Task Request' that helps to assign work to other colleagues. Why It Is Necessary To Use Outlook? Every user has its own opinion about choosing their email client whether it is desktop or web based email client. But when environments of most business sectors are concluded Microsoft wins the war. Microsoft improves each version of Outlook with set of advanced features for users making them easier to use. Therefore, here are some important aspects of Outlook that makes it best choice for your needs. Outlook and Exchange server when are used integrated with each other works as parallel track for employees. No extra efforts are required to let Outlook and Exchange work together. In order to set Outlook with Exchange Server user has to perform few steps using Outlook settings and that's it a smooth commune is available for IT users. Active Directory is all credentials of Exchange Users that are registered on Server, when users log into Outlook account they don't have to fill all login credentials again and again to log into Exchange Server account. In fact MS Outlook does not require any information it figures out the right e-mail address via AD and log into respective email client. Outlook additionally also supports many other smart devices and applications providing great way of accessing mailbox data from anywhere around the world. These days lots of Smartphone's are available those provide facility to synch your Outlook mailbox with phone, whereas those who don't provide this facility, can hire third party add-ons available on market rendering service of synchronizing with Outlook account. In MS Outlook, sorting is allowed for email messages indicating specification to prior messages. Users can sort messages according to their requirements and can also send different automatic messages to different email address. Outlook is not limited only to messaging instead it allow users to set workflows for occasions like online voting. If a group of people needs to decide the meeting place somewhere out of station than they can just take online permission of every other coordinators via online voting. Moreover, Outlook 'Form' feature allow users to take request from subordinators for time off, and if approves it gets returned to user. 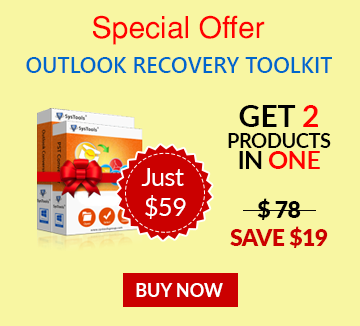 Being a part of Microsoft family, Outlook possesses quite strong security on its features. Junk mail filters restricts web bugs, data from foreign sites and downloading images from internet by default. This means it has embedded security features disallowing unwanted virus and malwares entering into Outlook account. Outlook is not only limited to single Outlook instead users can configure several accounts in Outlook using different protocols. More than one account can be configured in Outlook and can be operated with one set of rules. Moreover, if required all the set accounts can be sorted according to differentiate needs of users. If concluded overall MS Outlook is complete set of robust features and a better secure platform to guide a corporate organization towards stairs of untouched success. Users can grab more than emailing from MS Outlook and its additional services. It can be used to accelerate the growth of company in all aspects of communication rendering fruitful services for users just like topping of some extra chocolate chips on cup of sundae ice-cream.